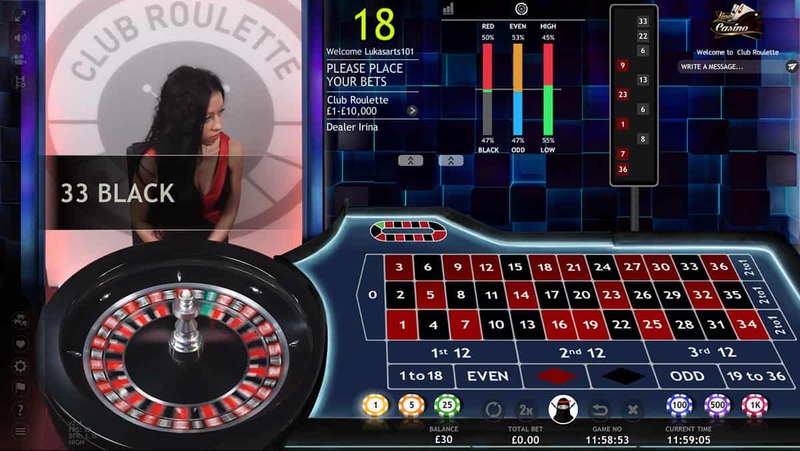 Extreme Live Gaming launched Club Roulette in 2016 amid a fanfare of “community gaming”. Based on the European Roulette betting layout, the aim of the game is to deliver a Live gaming experience like no other, putting us face to face with the croupier and create a community atmosphere with other players. We can see other players join the table and see the kind of bets they make. We can even interact with them – and the croupier – via the chat functions. Our aim of the game, meanwhile, is to land as big a jackpot as we can from spinning this wheel. And, with a max bet of 10,000 and potential jackpot of 27,200, we have plenty of scope to achieve it. The star of any Roulette game is the wheel. In Extreme Live Gaming’s Club Roulette, the wheel shares centre stage with the layout. Our croupier sits behind the wheel, spinning it and sending our ball round in seamlessly streamed HD imagery. Want the racetrack view? Hit the racetrack table above the layout. It brings up a smaller version of what Extreme Live Gaming calls Neighbour Bets - the Voisins, Orphelins and Tiers bets that are an integral part of classic Roulette play. A golden marker highlights winning numbers, while the number also appears on screen, above the wheel. Any wins are showcased by an eruption of tinkling casino chips - just the sound we want to hear. In its Club Roulette pay table, Extreme Live Gaming includes a super-neat feature that massively aids gameplay. The pay table tab sits next to the minimum and maximum bets. Opened up, it details the different kinds of bets we can play, the minimum and maximum bet for each one and the payout that each bet will deliver. Likewise, the statistics table bring up graphs and win percentages of each number. This data enables us to maximise our Roulette betting strategy, all at the touch of a few buttons. And as for placing bets, it couldn’t be easier. Simply select the chip we’re after from the denominations at the bottom of our screen - 1, 5, 25, 100, 500, 1,000 - and place them wherever we so choose - as long as we have the funds in our casino balance and we don’t exceed the max bet for any given bet type, of course. 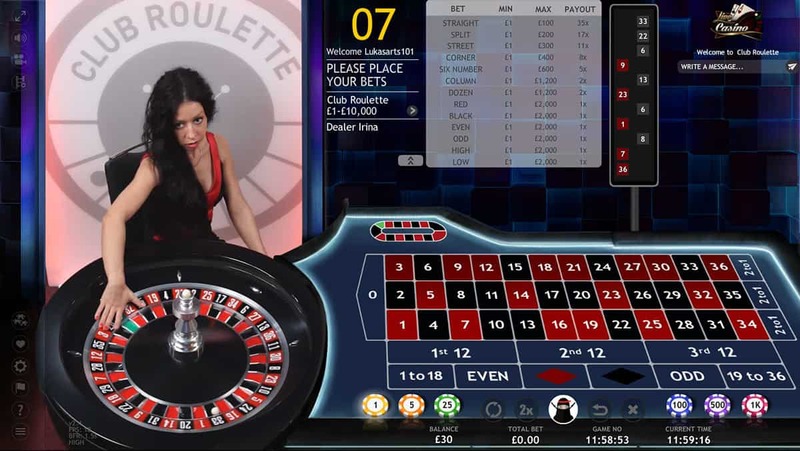 As the self-styled masters of Live Casino gaming, Extreme Live Gaming has delivered yet again with Club Roulette. This is paired-down Roulette play, stripped of the livery of a hustling casino background. It allows us to enjoy the table, the Roulette community and the thrill of the spinning Roulette wheel. With decent betting limits and that dangling carrot of the 27,200 jackpot, this is one club to which we are sure to return.